Jim Scheibel holds a bachelor’s degree from St. John's University, a Doctor of Humane Letter, Honoris Causa from the College of St. Catherine, and was a Fannie Mae Fellow at the John F. Kennedy School of Government at Harvard University. Jim Scheibel was a conscientious objector to the Vietnam War. Scheibel worked as a community organizer, as aide to former mayor Lawrence Cohen, as national organizer for the Fred R. Harris Presidential campaign in 1976 and as deputy director for Volunteers in Service to America VISTA. Elected to the Saint Paul City Council in 1982, he served there until his election as Mayor. As mayor, Scheibel led efforts to tackle the problems of homelessness, hunger and refugee services . Scheibel was succeeded by Norm Coleman. After his term as mayor, Scheibel served as vice president for the Corporation for National and Community Service and as a nonprofit executive. He currently chairs the 21st Century Democrats, a progressive electoral coalition active within the national Democratic Party and is a member of the Saint Paul Area Council of Churches. He teaches at Hamline University and is the interim executive director of the Minnesota Campus Compact. In St. Paul, Minnesota, City Council President Jim Scheibel, a DSA member,swamped his opponent for mayor, Bob Fletcher. Scheibel won 35,836 to Fletcher's 27,850, or 56.3 percent to 43.7 percent, with Scheibel's 12.6 percent margin the largest in recent history for a non-incumbent. The election was nominally non-partisan, but Scheibel was strongly backed by the Democratic-Farmer-Labor Party. The coalition backing Scheibel included unions, Jobs with Peace, Clergy and Laity Concerned, the Rainbow Coalition, ACORN-PAC, and the Nuclear Weapons Freeze Campaign. 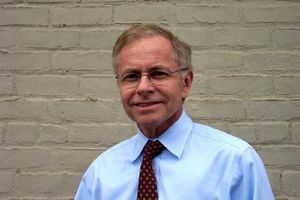 Jim Scheibel has an extensive background in public policy, public service, workforce development, and nonprofit management. As Mayor of Saint Paul, Minnesota from 1990-94, and as a member of the Saint Paul City Council from 1982-1989, Jim Scheibel led committees on workforce issues for the National League of Cities and U.S. Conference of Mayors. Scheibel served as Senior Vice President for the Corporation for National and Community Service under the Clinton administration where he directed the Volunteers in Service to America (VISTA) and the Senior Corps programs. He has also served as Executive Director of a number of nonprofits specializing in job training and employment assistance. In 2010 Scheibel was Executive in Residence for the School of Business at Hamline University, and consults with private colleges and nonprofit organizations on service and poverty initiatives. Jim Scheibel chairs the board of 21st Century Democrats a political organization that has stood for Progressive causes for over 20 years. Founded in 1986 by Senator Tom Harkin, Texas Agriculture Secretary Jim Hightower, and Congressman Lane Evans, 21st Century Democrats has helped elect progressive politicians such as U.S. Senator Tim Johnson, U.S. Senator Barbara Boxer, U.S. Senator Russ Feingold, and U.S. Senator Jeff Merkley. Its three main goals are to help elect progressive candidates, train young people about grassroots organizing, and lastly, to continue to support our elected officials after Election Day "through our comprehensive progressive network".